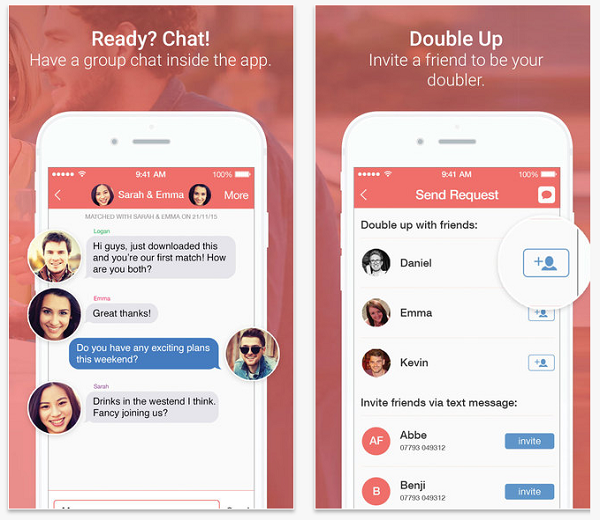 The Double App is all about online dating in pairs. 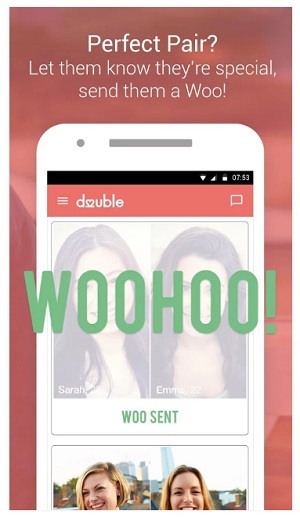 JoinDouble.com have created a dating app for iPhone and Android users which allows singles to go on a double date and do it all through their cellular device. Our review found that the Double Dating App is very popular in both the US and UK, and makes up a large community of singles dating in doubles which is safer. 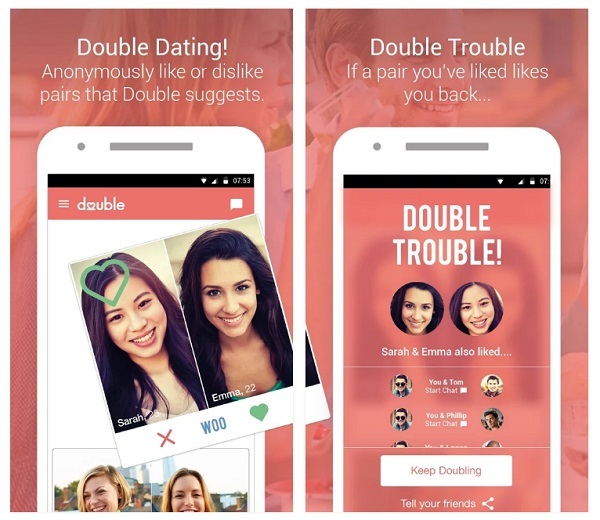 If you are looking for love, a relationship, romance, a fling, or just to date online you would benefit by downloading the free Double App to your mobile or tablet. 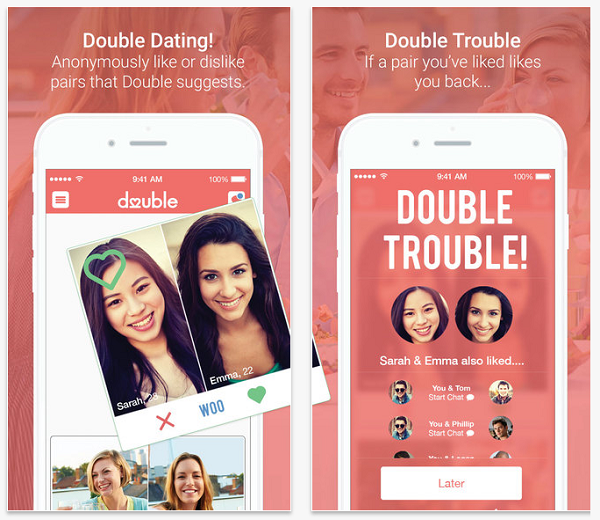 It’s not the design of the app or the easiness of use which make it stand out, but the concept of double dating for singles which make it stand out and become so useful for mobile phones, whether it’s Android or iPhone. Taking a friend with you on a date makes online dating a whole lot safer. You are able to upload a double profile, showing you and your friend, which is a unique feature for a singles dating app. The local singles dating community for the Double Dating App is growing fast, which helps finding local singles in your area which are looking to double date much easier for Android and iPhone users. 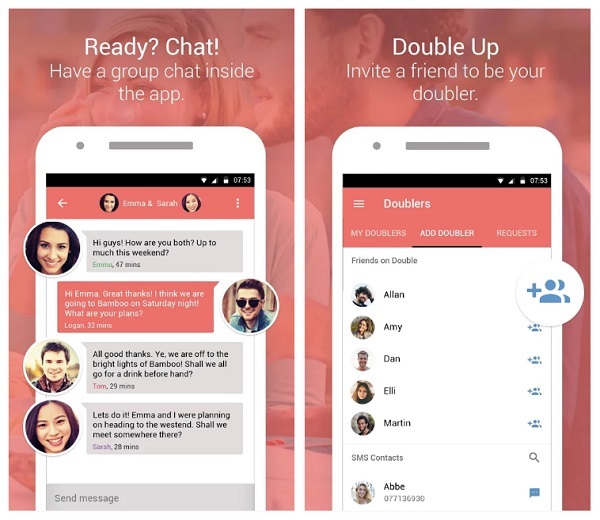 That’s the biggest advantage of the Double App which is the only leading app available for double dating and meeting your perfect match through your mobile. Remember, if this application isn’t what you are looking for be sure to check out additional iPhone dating apps and Android dating apps which we reviewed and which you can download on our site. If you are not interested in downloading the app, there’s no other online option as the Double Mobile site doesn’t allow login and registration. The website is completely responsive which makes it show correctly on all mobile phones or tablets, however, there’s no login option which allows you to access all the features of the Double Dating App. We think that the people at JoinDouble.com would give all smartphone and cellular users (Such as Blackberry, Windows Phone, etc…) a great option if they would add the registration and login options to Double Mobile; making it act just like the dating app. Arranging a group chat (to meet new people and establish that double dating night out). Match with other pairs – once a mutual like has been made. Invite your friends to pair up with you (there’s no limit on the number of pairs you can be a part of). Use the “Woo” button to show a special interest in a pair. 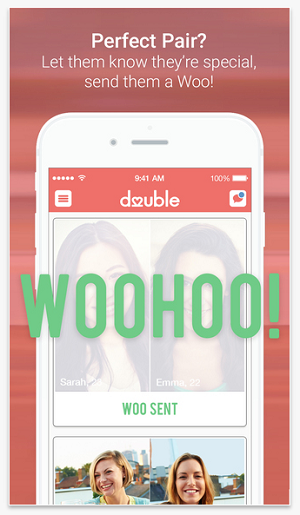 If you own an Android or iPhone the Double App will let you maximize your double dating opportunities in your area. You should download and install this dating app if you are looking to double date singles in your city who are into online dating in doubles through their mobile. The Double mobile dating app is free to download and install and is home to the largest double dating singles community online. 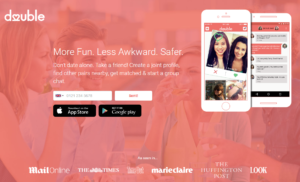 The app is free, fun to use, and most of all makes dating a whole lot safer. This singles dating app is a must for anyone looking to find love, a relationship, or just to date online in doubles. Our recommendation is to download the Double Dating App to your Android or iPhone, you’d be glad you did. Can I pair with a friend I met online through the Double App? Sure, pairing via the Double App is not limited to a number or a person. Sometimes friends download the app together and contact other pairs online, and sometimes members meet through the app and decide to pair up. There’s no limitation as to how many pairs you can join. I own an iPhone 6S, Can I contact Android users? Yes you can. The app allows for any Android or iOS user to interact seamlessly. Is there a customer support contact email?